Yaaaaay! I'm very excited about this release. I loved the Gummi Bears! Seasons 1-3. It was was my favorite show, and that's not because it features the voice talent of my elder brother Christian as Cavin (who played him until his voice changed) and the legendary Bill Scott, AKA THEE Bullwinkle who played Gruffi (until his heart attack). This show was brilliant for it's time. 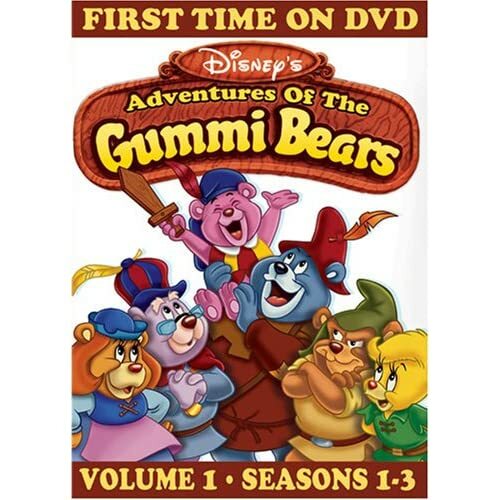 Action, adventure and Gummi Beary Juice. Help a brother out! Pick it up today!